Does Employee Well Being Predict Employee Performance? Have you ever given thought to the idea that perhaps you could (or would) do better if you felt better? Many people have given thought to this concept, and for good reason. As America’s job demands increase, employees continue to feel the burden of keeping up, often without any incentive or rewards for their extra effort. The result of this effort overload has been poor employee performance. It’s been noted that lower levels of employee well being are responsible for about 33 percent of unsatisfactory business performances. These higher demands and lower performances have left many companies wondering how to get these two key elements aligned. One common solution is to improve employee well being. Over the past few decades, numerous studies show that employee well being is directly related to employee performance. As a matter of fact, improving employee well being has shown an average return of business benefits on a 3:1 ratio, not only for general workers, but also for those at the top. Extensive evidence shows that employees with higher levels of well being are more energetic, focused and positive. They are also more resilient and resourceful in how they work, thus producing significant performance gains. Not only that, employees with higher levels of well being have much lower levels of absence, illnesses, workplace accidents and disputes and conflicts with coworkers. Some evidence even shows that employee well being is more strongly correlated with performance than with job satisfaction. Companies that implement even modest improvements of 10 percent in employee productivity gain an equivalent of 23 more working days a year instead of the current average of seven days of absenteeism. PwCalso conducted a major research project that showed for every $1 spent on employee well being, the company gained about $3 in cost saving performance gains. For everyone, whether you’re a company or a worker, it may be worth noting that the largest untapped source of increased performance and competitive advantages may just well be in employee well being. Career Stress and Well Being: Are they interrelated? A recent Gallup report announced that 70 percent of Americans are either disengaged or miserable in their workplace. As the North American job industry remains governed by uncertainty its employees remain highly stressed … which explains Gallup’s findings. Employees find themselves in work overload with stagnant salaries, increasing bills and a lack of career advancement. While 70 percent of America’s employees are unhappy with their workplace, 65 percent admit their jobs are a significant source of stress, one third of which, are chronically stressed. This coincides with numerous studies that have repeatedly found that job stress — as in occupational pressures and fears — is the major source of stress for American adults; a level of pressure that continues to escalate progressively. This level of job stress has been linked with increased rates of hypertension, heart attacks and other health disorders. A NIOSH Report shows that three quarters of workers believe that today’s employees have more on-the-job stress than the generation of workers before them. As a matter of fact, job stress is associated with health complaints more frequently than family or financial problems. A startling finding revealed that 42 percent of America’s stressed workers admit they are in the dark when it comes to dealing with the stress, in that they need help learning how to manage their workplace pressures. Occupational tensions are also affecting the mental capacities of many workers. According to the American Institute of Stress, 25 percent of employees say they have felt like shouting or screaming at a coworker, while 14 percent admit they wanted to strike a fellow coworker. Another 10 percent say they are aware of violence or an assault that has occurred in the workplace and that 18 of workers fell victim to some type of threat or verbal abuse over the last 12 months. Workplace stress has become a significant concern as more than 62 percent of workers experience neck pain; 44 percent have stressed-out eyes; 38 percent deal with aching hands; 34 percent experience insomnia due workplace stress. More than 12 percent of employees call in sick because of job pressures while overall, more than half of workers say they often spend 12 or more hours completing work-related duties and skip lunch because of job demands. When considering a new career, it’s important to choose an employer that offers employee programs such as stress management, work-life initiatives, career advancement programs, telecommunicating and flexibility, all of which are proven to contribute to the wellbeing of workers. Remember that career success is not only defined by the metrics of power and money, but also — and perhaps even more importantly — by employee happiness and performance. While emotional intelligence has been linked to neuroscience, it has also been linked to leadership abilities. Numerous research studies continue to connect high employee engagement and positive emotions to high performance in the workplace. This, researchers feel, is due to emotional intelligence, or, as it’s also known, emotional control. Emotional self-awareness is a learned skill. It’s a skill that involves being able to understand your own emotions and then apply this understanding to outside situations, normally situations that involve people. Instead of lashing out or becoming angry with coworkers, for example, successful leaders have learned how to control their emotions by utilizing effective communication. The level of communication used to keep a stressful situation under control is a skill that has been detected by the study of neuroscience. Viewing neuroscience as a form of positive psychology is another way understand how these three concepts are related. Leaders who practice positive psychology express themselves in more controlled, calm manners. Instead of allowing themselves to become negative, they have the ability, the learned ability, to take the reins and gain control, thus preventing a potentially explosive situation from becoming an internal riot. Possessing such skills can make anyone a valuable leader. 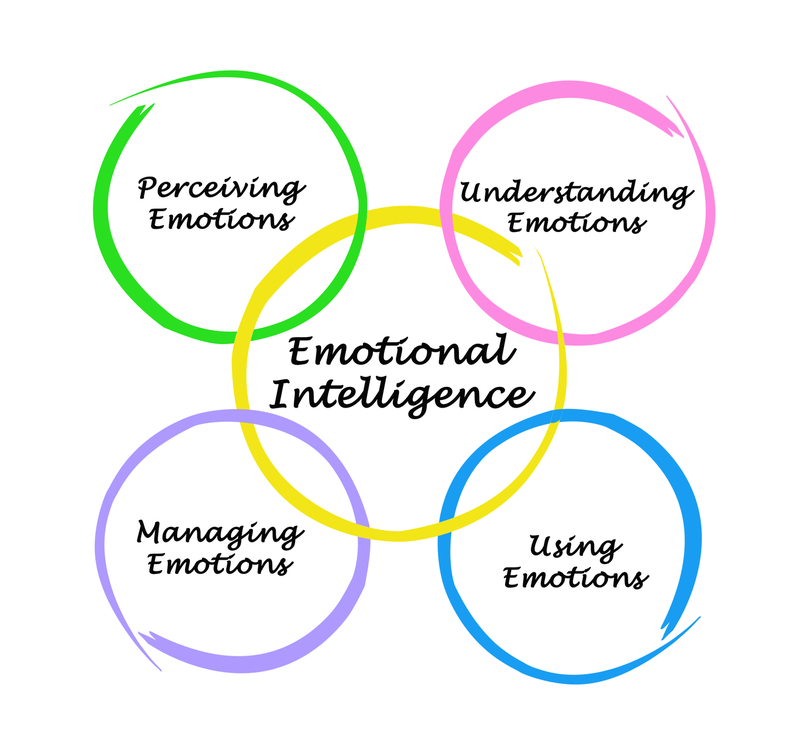 People who are able to display this level of learned emotional intelligence often find themselves in a position of management. Instead of multi-tasking and ignoring the needs of coworkers, they possess the organizational skills required to effectively make time for their employees. These people have the ability to make others feel equal and heard. They know how to reduce stress and calm employee fears. When people experience fear, they immediately experience a heightened threat response. This response activates an area of the brain that kick-starts the stress response and in turn, has a large — usually negative — effect on a person’s entire system. However, people with neuroleadership skills have the ability to prevent such circumstances, or at the very least, extinguish emotionally charged situations simply by opening a line of communication. 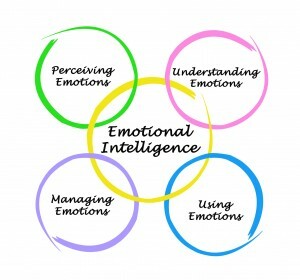 All of these areas of emotions, brain function and intelligence have been repeatedly found to be interconnected by neuroscience studies. Leaders who understand both neuroscience and emotional intelligence can be an extremely effective and powerful tool for successfully managing engagement. Having the ability to manage emotions and remain calm under pressure is not a skill we are born with, but instead, is a skill that must be learned. It’s important to learn emotional management because, according to TalentSmart research, being able to remain calm under pressure has a direct link to work performance. As a matter of fact, a study that involved more than one million people showed that 90 percent of top leaders and work performers were skilled at managing their emotions during times of stress. Their ‘skill’ was being able to remain calm and in control when under extreme pressure. Another reason to get a grip over out-of-control emotions is, according to a Yale study, prolonged stress has been found to cause denegation in areas of the brain responsible for self-control. Stress, however, is not necessarily a bad thing. Actually, stress and the anxiety that comes with it, are necessary emotions that have been shown to heighten performance when people experience moderate levels of it. Research from the University of California show the onset of stress can actually entice the brain into growing cells responsible for improving memory. How then, does one go about learning the skill of emotional control? Stay positive. Focusing on positive thoughts is an effective way to divert your brain onto something that is completely stress-free. Any positive thoughts will re-focus your attention. Learn to disconnect. If you make yourself available 24/7 you can expect a constant or prolonged barrage of stress. Technology makes it easy to be constantly plugged in, however, this is where drawing the line and turning off phones, shutting down computers and simply disconnecting at the end of a work day will put you in control of your emotional state. Get enough sleep. The average adult requires between six and nine hours of sleep per night. Sleep is the only way your body and brain have to recharge. Without sufficient sleep, you will not wake up energetic and clear-headed. You will not be in control of your emotional state. Lack of sleep directly effects memory, attention and self-control. Gain perspective. It’s one thing to have a perception of events, but it’s quite another to have a realistic perspective. Worries and stresses are created by skewed perceptions and are fueled even more by circumstances we cannot control. While we cannot control everything in our day, we can control our reactions. Instead of dwelling, take a few minutes to put things into proper perspective by making them more realistic. This will reduce your level of stress. There are many ways to learn how to control your emotions and remain calm the way successful leaders do. Reach out to a support group, breath by practicing being in the moment and squash any negative self-talk. Most self-talk is generated out of fear, not facts so, don’t hand over your power to negativity.